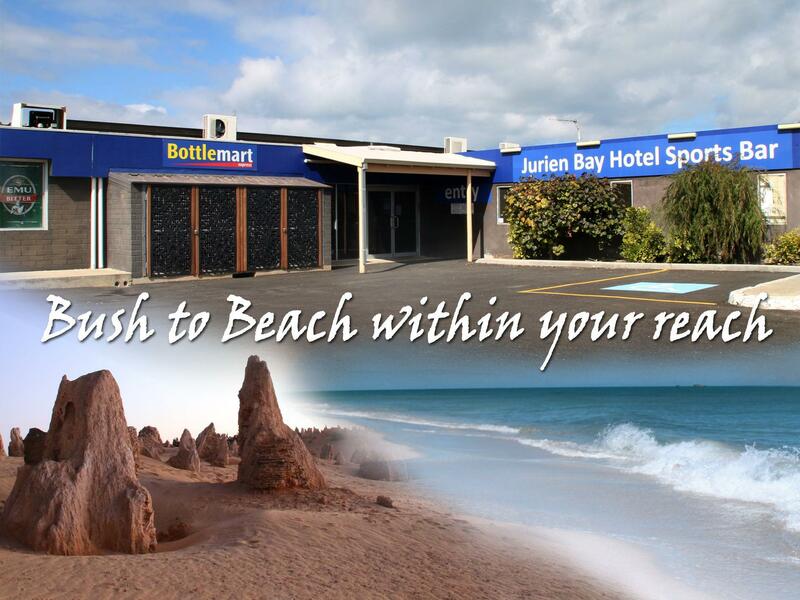 إن فندق Jurien Bay Hotel Motel بموقعه الممتاز في سرفانتس هو نقطة انطلاق جيدة لنزهاتك في سيرفانتس. يمكن من هنا للضيوف الاستمتاع بسهولة الوصول إلى كل ما تقدمه هذه المدينة النابضة بالحياة. يوفر الفندق بفضل موقعة الجيد وصولاً سهلاً إلى أهم معالم المدينة.
. استمتع بالخدمات الراقية والضيافة التي لا مثيل لها بهذا الفندق في سيرفانتس. يقدم هذا الفندق العديد من الخدمات الكفيلة بإرضاء أكثر الضيوف تطلباً. 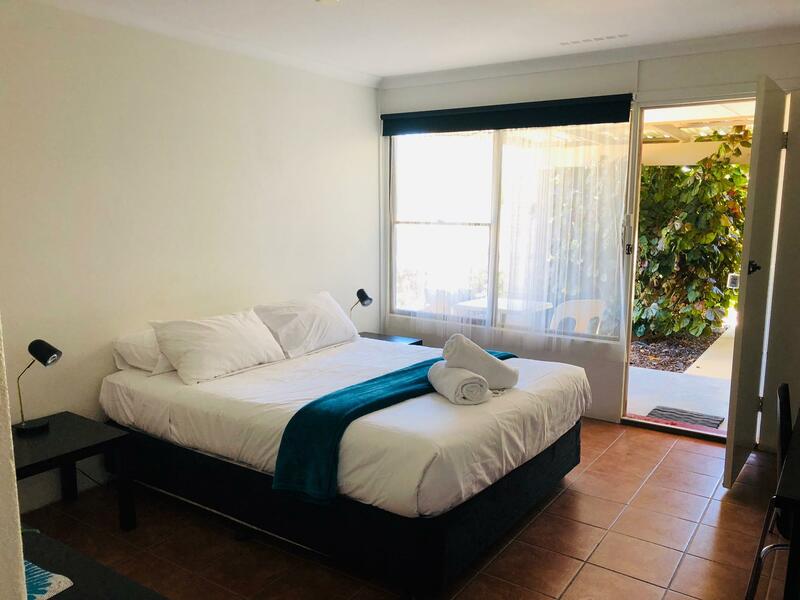 تنعكس أجواء Jurien Bay Hotel Motel في غرف الضيوف.تلفزيون بشاشة مسطحة, اتصال لاسلكي بالإنترنت, غرف لغير المدخنين, مكيف هواء, تدفئة هي بعض الميزات الموجود في العديد من الغرف. سواء كنت من محبي الرياضة أو كنت تتطلع لتفريغ عناء نهار صعب، ستجد خدمات ذات مستوى عالي بانتظارك كمثل حديقة. 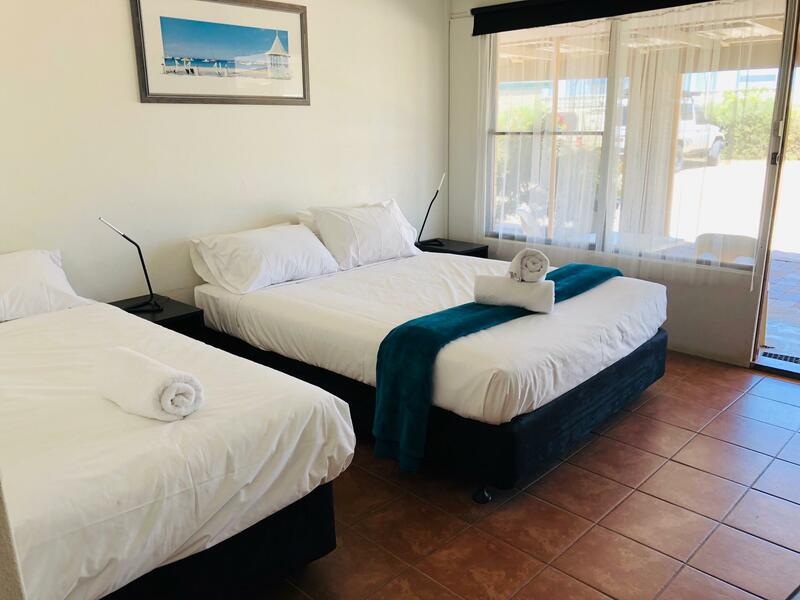 يشكل Jurien Bay Hotel Motel بخدماته الراقية وموقعه الممتاز، قاعدة مثالية للاستمتاع بإقامتك في سيرفانتس. Everything is a bit tired and worn out the staff generally were very helpful but on check out letting the staff know that there were a few issues with the room so that they could correct them they were most unfriendly. Budget accommodation it is and it is priced accordingly we wouldn’t have stayed there if it wasn’t the school holidays and everything was booked up. I was hesitant to walk into a busy bar on a Friday night, to check into a motel room, but I received timely and excellent assistance. We arrived after dark and the facility was difficult to find. We found the bar, but questioned whether there was a motel because outside lighting was dim to none. Despite that, overall experience for our one night stay was very good. The room was basic but clean and adequate for a short one night stopover. Food at the hotel was a touch on the pricey side but was very good eating and the serves were substantial. The chef obviously takes pride in the food he presents. A run-down motel . Bed comfortable, TV, frig, AC worked. Lights too dim to read by, lower shower tiles needed repair. Would be OK if woodwork given a coat of paint, if bathroom tiles sprayed, and if brightness of lighting was brought up to a reasonable standard. We stayed overnight here for about 8 hours before heading to Kalbarri. Room was nice and clean. Overall are good. Having previously stayed here we were disappointed with the very basic room which had a door to the adjoining unit which required us to stack bags to drown out the sound of the people (with baby) next door. There was a sandy patch to traverse from the car and the quality of bedlinen left a bit to be desired, noisy plumbing and dirty windows. Tried to check in a hour early as we arrived earlier, told to check on 2 pm. That is good. 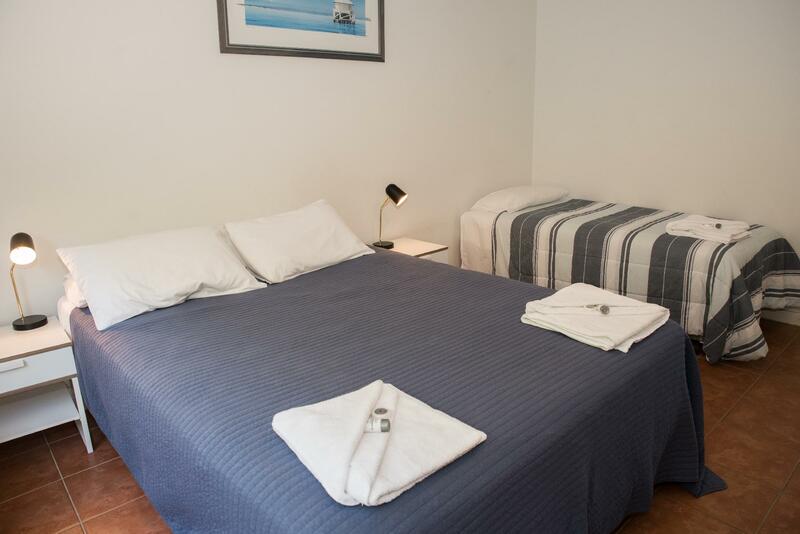 Room facility are basic but tidy and clean and working. Acceptable. Should be upgraded? Asked wi-fi password, but it was not working! Clean room, hot shower, lights were dim though. Restaurant/ Bar serves food but pricey. 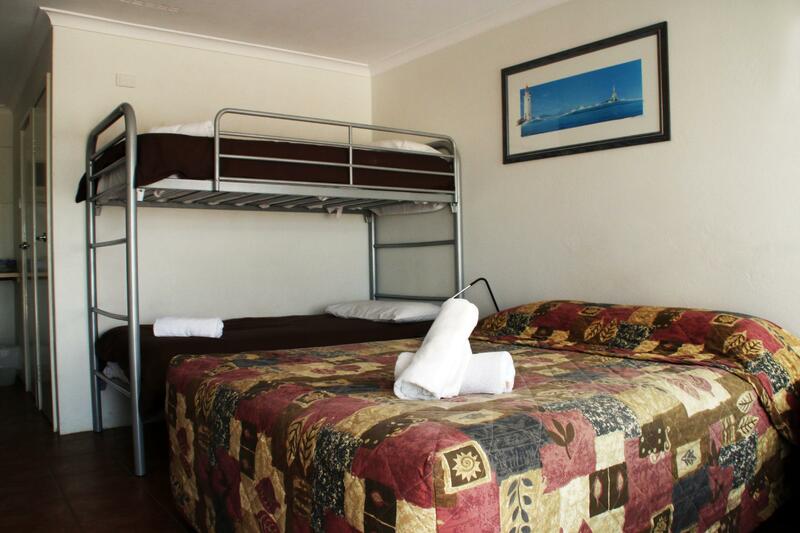 Budget hotel and comfortable. Small town and nightlife is only at the bar. I shall go back just hope the beer n food prices come down a little.. The room is basic and clean. Just cannot find hair dryer.